The Go Prosthetics patented fitting system is fast, effective and focused on improving the lives of amputees. Our main focus is to deliver the most effective Immediate Post-Operative Prosthetic (IPOP) device on the market. The process starts with selecting one of our pre-designed prosthetic sockets from a range of sizes. The closest fitting socket will then get 3D printed. The next step is to put on a silicone prosthetic liner and inject a durable, lightweight foam into the voids between the residual limb and the 3D printed socket. The foam dries in 20 minutes, after which the amputee is ready to walk and test the fitting. The final step is to test the fit and make adjustments to the hardware as necessary. If needed, the foam can be removed, adjustments can be made and the socket can be re-fit again. The final product is a comfortable prosthetic with an imbedded silicone liner that can be donned and doffed easily and fit in less than an hour. "Functional and low-cost prosthetics made with the help of 3D printing technology"
The Go Prosthetics patented fitting and IPOP system gives amputees the ability to get up and moving faster than anything else on the market. Our fitting process takes less than an hour, meaning that you can be up, moving and regaining your independence as quickly as possible. We are excited to be developing an IPOP solution designed for every new amputee, and it makes us proud to be doing so at an affordable price point. At less than $500, our system is both within reach and ready to help. An effective IPOP has been proven to help patients recover faster, heal better, and return to ambulation with more regularity. 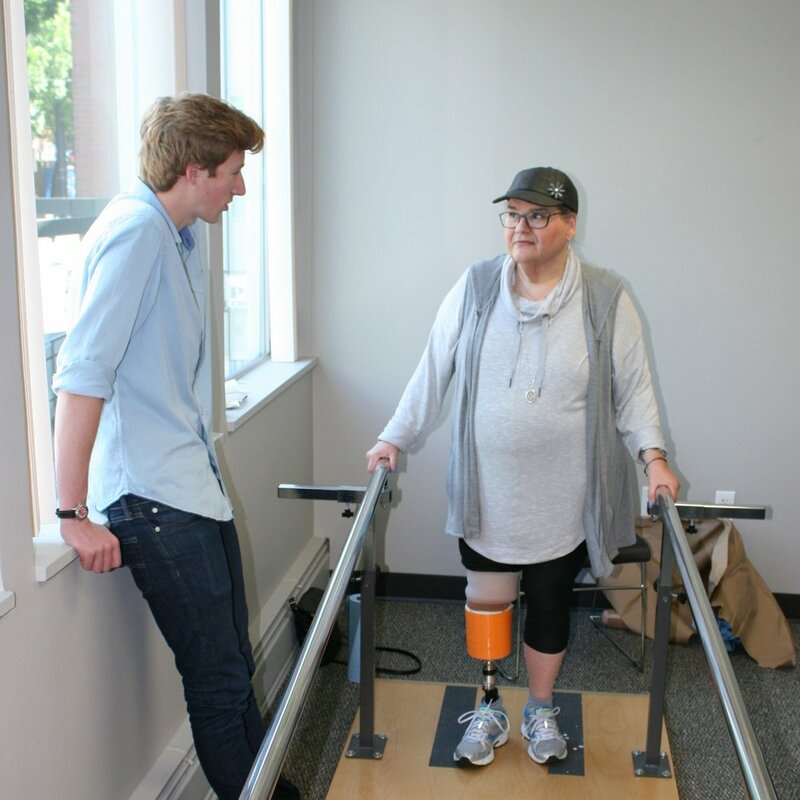 With our innovative approach to prosthetic design, we are poised to help you reduce atrophy, falls and recovery time and allow you to walk again faster and with more confidence. Mechanical Engineering student at the University of Colorado Boulder. Max conceived and invented the technology during his high school days, and has worked over the years to refine the prototype and concept. Product, service and branding executive. Cliff is currently the Go to Market Officer for Breville, a premium global small kitchen electrics manufacturer. Previously, he has served as a VP Global Brand for Nike, and as a SVP Marketing for Ralph Lauren. Over the course of his career, Cliff has helped productize and introduce a number of products and services, including pharmaceuticals, consumer goods and digital services. Inventor and developer. Wayne is also the sole proprietor of Armstrong Development, a firm that focuses on mixed use and sustainable development. Wayne has also invented a number of other products and technologies, including some that are used in his development projects.